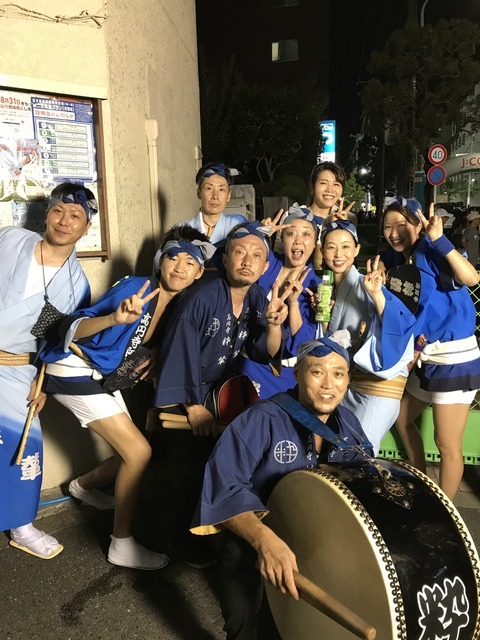 This year’s Koenji Awa-dance festival was very special to me because of three reasons. First, I played a new music at the stage. Second, I joined Koenji-Godo team for the first time. We have been selected from each team to complete Koenji-Godo. The last reason is because of my daughter. 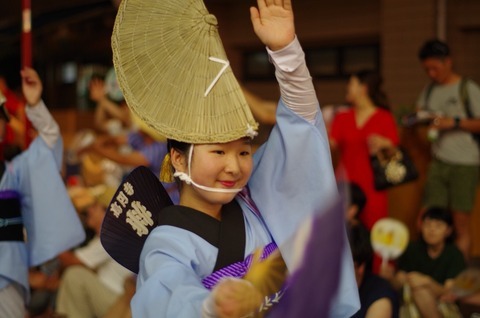 She started to learn Awa-dance when she was five years old. Now that she has grown, she joined Women’s dance team. She was so happy to wear the pale blue kimono that she adored for a long time. It has been her dream to wear this kimono. For this stage performance, I practiced a year to master these two songs “Kohiiki-uta” and “Zomeki(slow version).“ I practiced for this because I performed the solo part in the slow version of Zomeki. I found a perfect place to practice and play my Japanese flute and that is the Karaoke so I used to go there even by myself for practice! My performance at the stage was not perfect at all... Because I got very nervous, my flute sound was trembling even though I didn’t plan to play like that! I need to get used to playing in front of an audience, I think. These were 2 hot days. The temperature went up really high, so it was very hard to march on the street, especially for drummers with big heavy drums. It was my first time to sweat in this late summer festival. 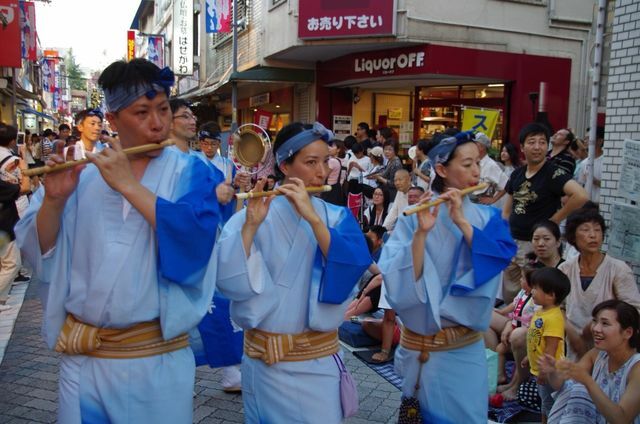 For this Koenji Awa-dance festival, our flute team had a lot of practice. Two new players joined, it is great for me because it was alone until last year. During this festival, the dancers can hear louder flute sound. It was a big event of end of summer, I feel the summer is gone and I feel a little lonely.